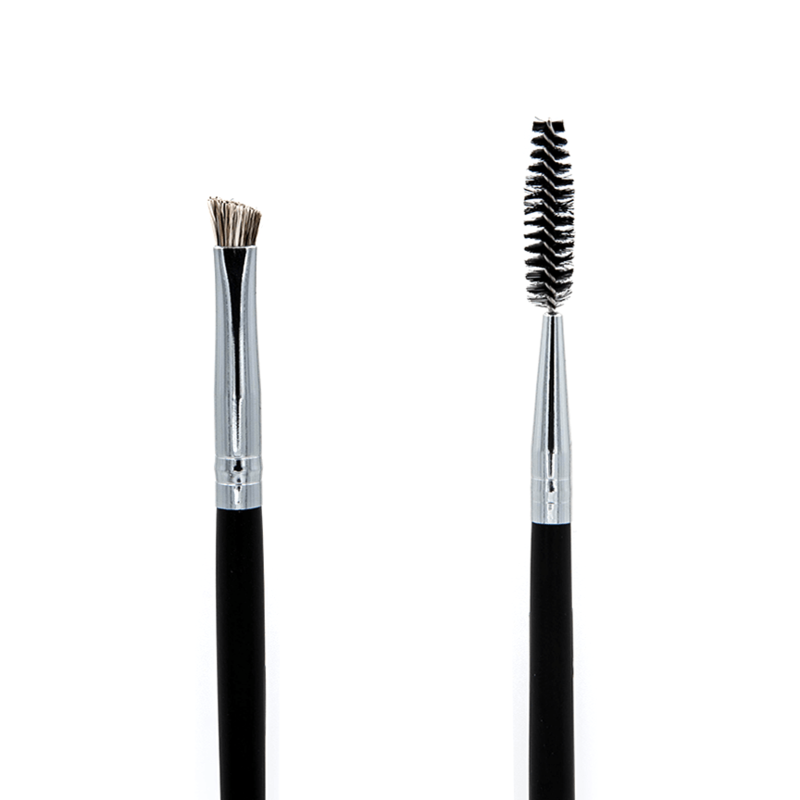 The Brow Duo's stiff, compact head allows for a precise application and easy product pickup. The angle of the brush helps to get a close and neat application of powder within the brow, allowing for sculpting and shaping of both natural and dramatic looking eyebrows. The spoolie on the other end of the brush can be used to brush and groom brows prior to applying product as well as combing the product through the brows for an even application. I use the one side to unclump my mascara. Just didn't like these at all. Like all Crown Brush items..they just feel like cheap Chinese crappy mass-produced stuff that a company just bought in bulk and slapped their logo on. Both brushes are HARD af and just don't feel comfortable at all..and the brow brush is way too wide to even try to do your brows properly.